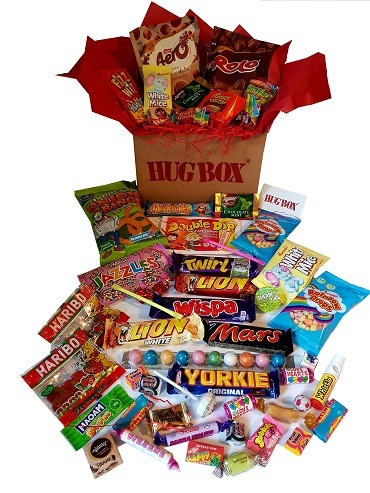 Make someone smile with this 9x6x6 inch Hug Box containing a long armed huggable Monkey plus a selection of chocolates and sweets! This super soft, cheeky Monkey has velcro hands and is 50cm long. He is made with the finest materials, fully conforms to European safety standards EN71 and is hand washable. There are 6 different coloured Monkeys available and one will be carefully chosen for you. Please note he is suitable for children over 1 years old and all hang tag attachments should be removed before giving toy to a child. 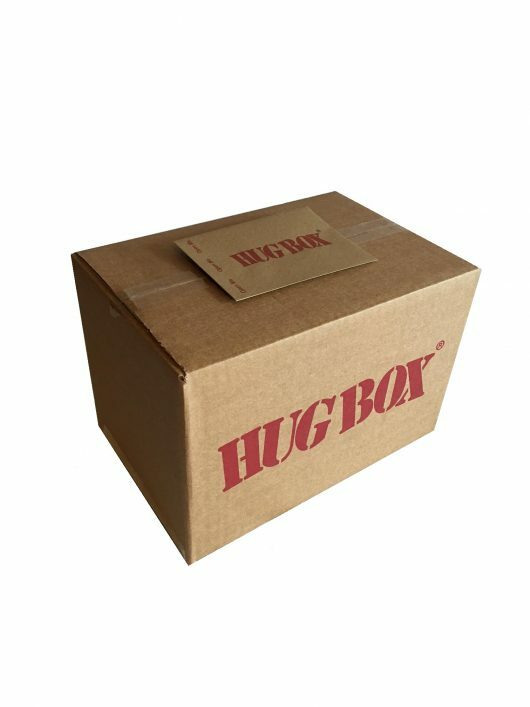 Have your Hug Box delivered with a personal message to make it extra special! The easiest way to send the personal message is in the ORDER NOTES section after you have clicked ‘Proceed to Checkout’ from the Shopping Basket. 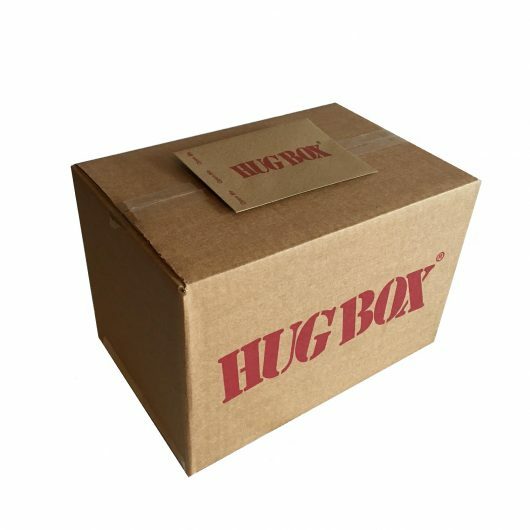 If I do not received the details of the message you would like included with your Hug Box at time of paying (either during the order process in the ORDER NOTES Section or by emailing wendy@hugbox.co.uk) your Hug Box will have ‘Have a Hug’ on the Message Card.